Gay and Neel, Inc. worked with our client to redevelop a 10 acre site close to Radford University’s campus into a beautiful student housing apartment complex composed of 6 buildings with a total of 333 bedrooms. 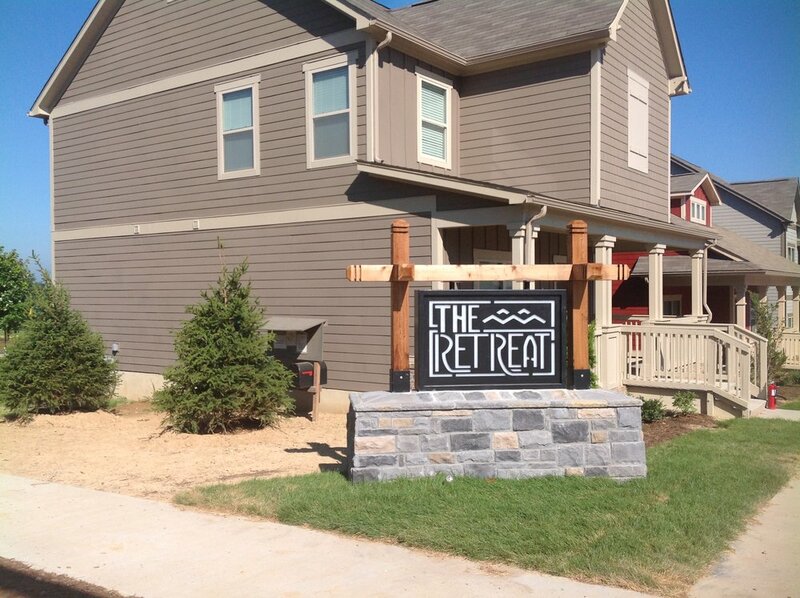 This development is within walking distance to campus and is now one of Radford’s premier apartment complexes. Gay and Neel, Inc. designed the site layout, utilities and storm water management for the site. Gay and Neel, Inc. managed the preliminary feasibility, rezoning, and design of this unique cottage style student housing project between Broce Drive and Montgomery Street just outside of Downtown Blacksburg. Nine cottage units with a total of 52 bedrooms sits on just 0.9 acres and allows for students to get to campus quickly via Blacksburg Transit. Gay and Neel, Inc. designed the site layout, utilities, and underground storm water management for both quality and quantity as required by Code. This 325 lot subdivision just outside the Town of Christiansburg in Montgomery County on 108 wooded acres includes recreational amenities, open space, playgrounds, and a homeowner’s association that will maintain all common areas. Services for the project included master planning and rezoning through the County’s Planning Commission and Board of Supervisors, topographic and boundary surveying, water design, sanitary sewer design, stormwater management design, and construction stakeout. The design incorporated 157 single family home sites as well as a phase of 168 townhouses to complement the substantial open space preserving a significant number of trees on the site. Gay and Neel, Inc. was instrumental in carrying this project from an early feasibility study through a substantial comprehensive plan update and rezoning process with the Town of Blacksburg. Management of the public process with the public at large and adjacent property owners by Gay and Neel, Inc. resulted in the existing farm land along Prices Fork Road just 1 mile from campus being developed into a purpose built student housing project with 203 cottage style units consisting of 829 bedrooms. This project includes a network of public and private shared use paths looping the site, two wet ponds for storm water management, and a large community building with pool. We also worked with the Town of Blacksburg to design and construct a signalized intersection on Prices Fork Road for the development and incorporate a public transit stop within the development. 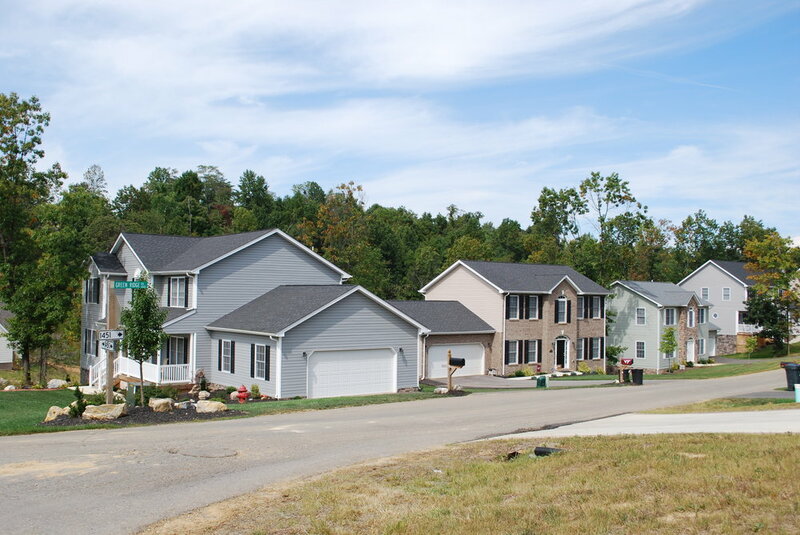 The Village at Toms Creek is an example of “Neo-traditional” Design for residential neighborhoods. Smaller lots, reduced front setbacks, alleys for vehicular parking, sidewalks, and street trees are examples of incorporating traditional design elements into new neighborhoods. Incorporating these features encourages a sense of community. Low Impact Development techniques can be incorporated into new neighborhood designs to reduce stormwater runoff quantity and improve runoff quality. Techniques include disconnecting impervious surfaces and incorporating grass swales to encourage stormwater infiltration.